What Photography Students Say About My Photo Workshops And Photographer Tours. Ten testimonials from some of the photographers who have attended one of my recent digital photography workshop and photographer tours. I present a program of photography education for adult photographers of all skill levels. I host my digital workshops at my studio in Nashua, NH and at locations throughout New England. The photographer tour I organize at locations in New England as well at international locations. “It was a great class. Dan was very informative. I really enjoy his easy-going and comical personality/instruction. He makes confusing concepts very easy to understand. Perfect Boston sites for this workshop.” Izzy S.
“OMG, this was such an AWESOME Class! Dan was AWESOME! I learned so much and had so much fun! And I’m looking at my pictures now and I am SO PLEASED! They came out incredible! Thank you so much for your time and sharing your knowledge Dan!!! “ Erica M.
“A lot of really awesome work to review this month! Dan’s informative comments about each participant’s individual shots are so helpful. These meetups are a great way to share knowledge and learn how-to’s from other photographers. Again, thanks Dan for putting all the time in and being so willing to share your knowledge.” Sharon R.
“A very welcoming, fun, casual gathering of budding photographers,lead by a pro who graciously lends his time, studio space, knowledge and humor to the group. I’m looking forward to next month’s meeting” Linda L.
“Thanks, Dan, for the well-presented workshop and accompanying worksheets. You’re great explaining all the points and oh, so patient with the queries.” Jeanne P.
My digital photography education program for adults includes field photography, studio photography, on-location sessions involving a range of photography topics. 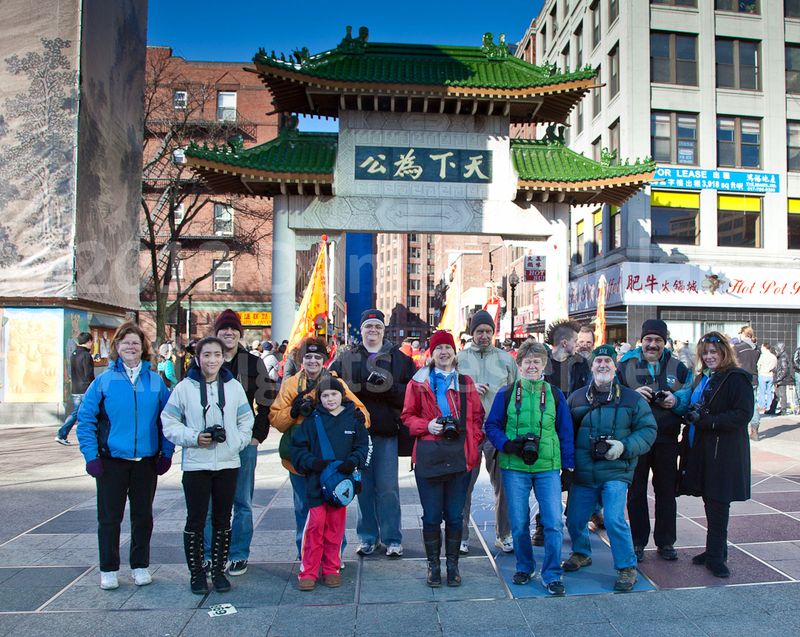 The photo tours are held in interesting locations and events around New England. 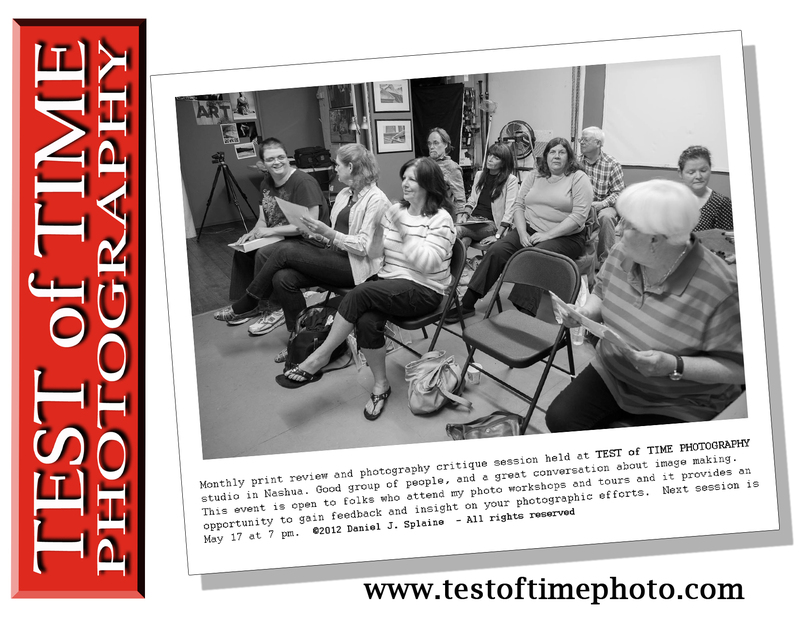 For more information contact me at info@testoftimephoto.com or visit the TEST of TIME PHOTOGRAPHY website and add yourself to my email list. I am happy to announce the launch of a new program of photography workshops for the spring, summer and fall of 2012. 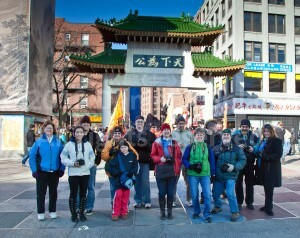 The PHOTO WALK WORKSHOPS will begin on April 28th and will run through October. These digital photography workshops are open to adult photographers of all skill levels. We will present these workshops at multiple outdoor locations which provide our photography students hands on field photography experience. The PHOTO WALK WORKSHOPS are led by a professional travel photographer who provides instruction and coaching during the 2 ½ hour workshop. Our goal is to help photographers of all skill levels achieve greater creative control over their photography. Combining conversation and photo exercises helps our photography students learn how to use their digital cameras to make the photos they imagine. By holding these workshops in unique and visually interesting settings around Boston and other New England locations present a learn-by-doing experience for our photography students. Each workshop attendee receives a workshop study guide (via email) to help them prepare for their workshop session. The study guide has information about equipment, photo skills and practice exercises. We begin each workshop with a discussion of photography topics followed by a field photography session to practice photo skills. For complete information and registration go to the TEST of TIME PHOTOGRAPHY website.